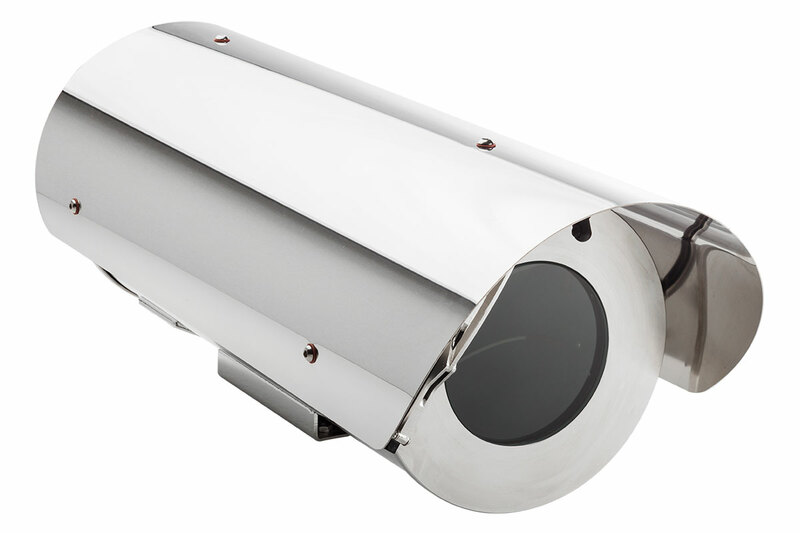 The 204 series comprises AISI316L stainless steel LARGE camera housings, designed to protect CCTV cameras in industrial, marine and highly corrosive environments. The housing has been developed to protect all the possible combinations of big zoom lenses and cameras installed in corrosive environments. A version of the housing with integrated wiper system is available as well as an extensive range of washer fluid tanks with integral pumps and a variety of mounting brackets and accessories.